lexl separates Excel formulas into tokens of different types, and gives their depth within a nested formula. Its name is a bad pun on ‘Excel’ and ‘lexer’. Try the online demo or run demo_lexl() locally. Detecting constants that have been embedded inside formulas, rather than in cells referred to by formulas. 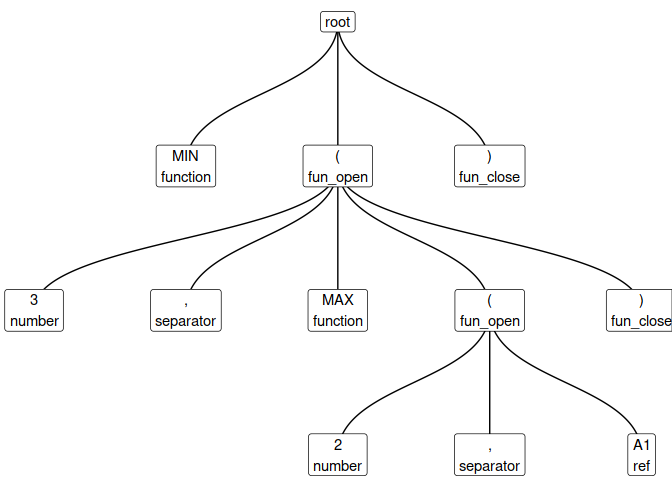 Revealing which functions and combinations of functions are most common. Untangling the dependencies between cells in a spreadsheet. The tidyxl package imports formulas from xlsx (spreadsheet) files. The Enron corpus contains thousands of real-life spreadsheets. Research by Felienne Hermans inspired this package, and the related XLParser project was a great help in creating the grammar.